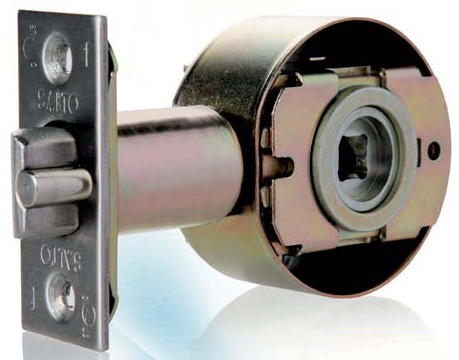 Cartridge, latch and deadbolt made of steel..
With auxiliary latch (anticard) that deadlocks the latch. Different backset lengths 60mm, 70mm, 95mm and 127mm. Fire resistsnat UL 10C compliant (3 hours).